We believe in setting and maintaining high standards to set ourselves apart from any other ready mixed concrete company. Providing our team with up to date equipment, products, and software, and promoting transparency between our staff and customers ensures the best possible experience. 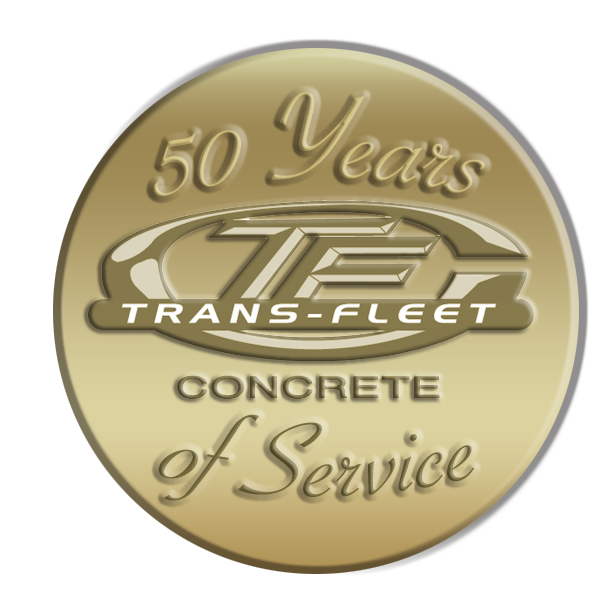 Since 1966, Trans-Fleet Concrete, owned and operated by the Franks family, has been delivering quality concrete to the surrounding community. We began delivering to our customers using mix-on-site trucks. Now, over 50 years later, we still continue to provide that same quality to both commercial and residential markets. Trans-Fleet Concrete has come a long way from those small trucks of the past as complacency has never been a part of our vocabulary. We continue to put in place enhanced equipment and technology and are committed to keeping up with the changing demands of the industry. Our highly trained employees use the most advanced central shipping equipment comprised of computerized dispatch and GPS. Our front discharge mixer fleet is extensively maintained so we can service any job no matter the size. Because of our long history and experience, we are able to consistently produce predictable high-quality concrete and provide great service to our customers big and small. Continually providing outstanding service to our customers and exceeding industry standards for quality and value has allowed us to create solid, long-lasting relationships with our customers. We are well known in the industry for the high quality of our concrete and outstanding customer service, but also pride ourselves in promoting unity among local organizations in the community. 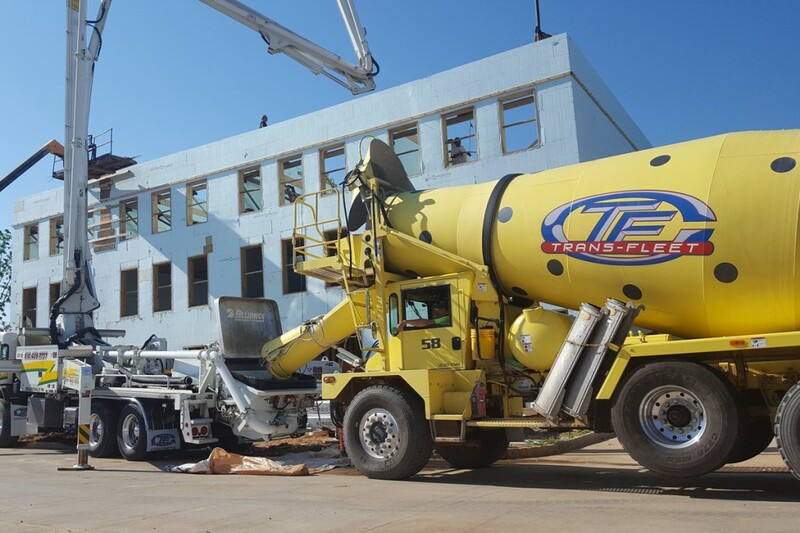 Whether it’s delivering concrete or providing a truck at local school for career day, Trans-Fleet Concrete is a large part of a small community. In addition to our ever growing fleet, we can also provide concrete pumping services through our sister company, 5 Star Concrete Pumping. Click here for more information. From developer to neighborhood contractor or the basic DIYer, Trans-Fleet Concrete is the place to call. Trans-Fleet can meet your needs. 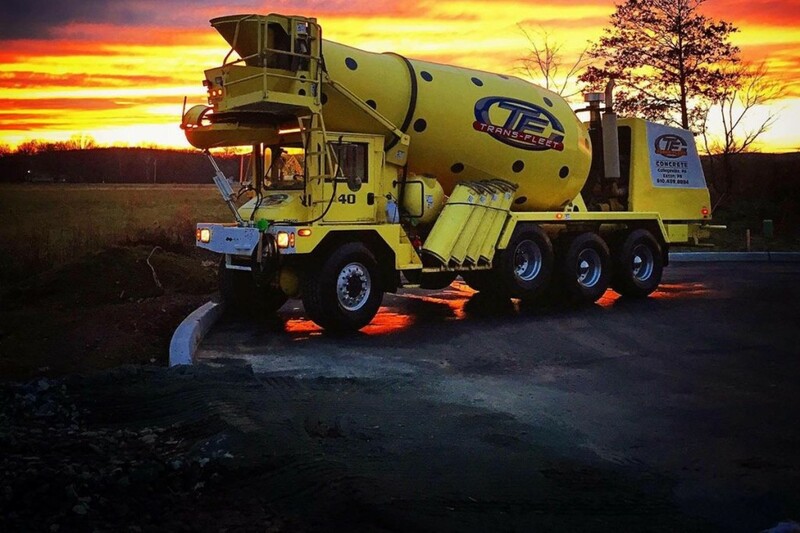 Our highly trained employees, advanced equipment, environmentally friendly materials, and central dispatch allow us to supply you with all of your concrete needs. Our production facilities located in Collegeville, Exton and Wrightsville Pennsylvania enable us to serve: Montgomery, Chester, Bucks, Delaware, Berks, Lancaster & York counties. for More Information and to Apply!